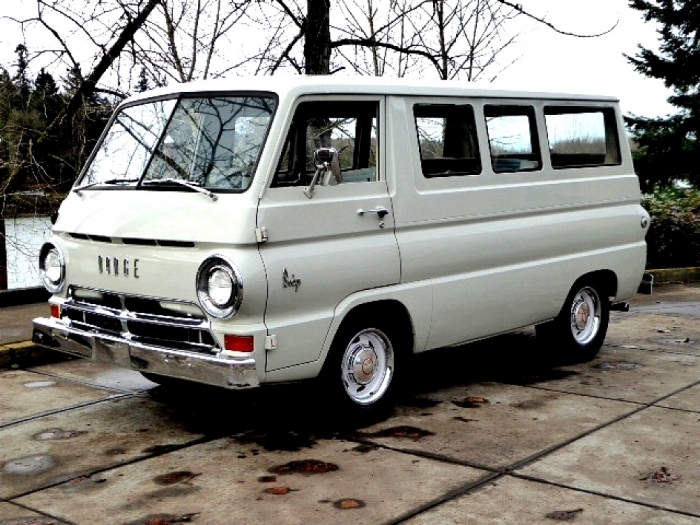 The first year of the classic A 100s window van and its' distinctive styling is enhanced by the Butternut paint and Cream interior with chrome accents. Has 318 V-8 engine, automatic transmission, with 8 3/4 rear end. Upgrades include Edelbrock aluminum intake carburetors, electronic ignition, dual Flowmaster exhaust, 15x7 cop car rally wheels with NOS dog-dish caps, and even has CD player with newer speakers. The exterior paint is in decent condition and also the interior. A1 Window vans are becoming harder to fine. This beauty runs and drives awesome.